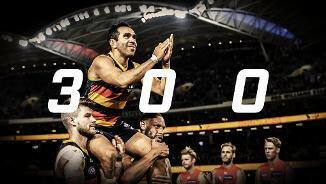 Re-live a magical night where Eddie Betts clocked up his 300th AFL game. 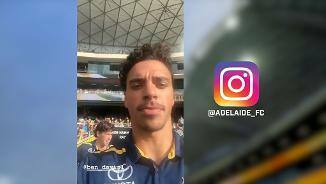 Ben Davis takes over the Crows Insta Stories in Round 5 against the Suns. 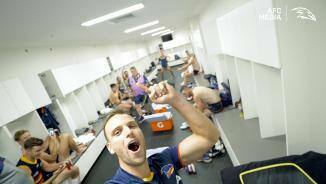 Brodie Smith roams the rooms following our win against the Swans. Chayce Jones is presented his AFL guernsey before the clash against Hawthorn. 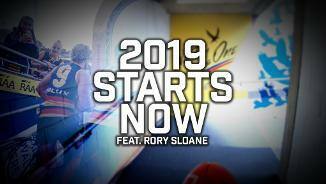 Get ready for round 1 through the eyes of Co-Captain Rory Sloane thanks to GoPro. 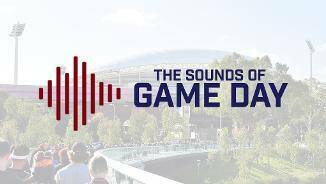 Take a sneak peak inside team photo day with AFC Media. 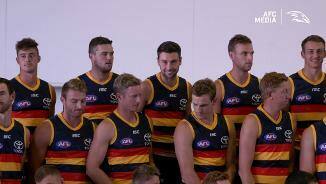 Crows midfielder Rory Atkins is mic'd up during our 2019 team photo day. 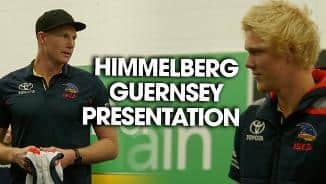 Crows Ruckman Sam Jacobs presents debutant Elliott Himmelberg with his match guernsey. 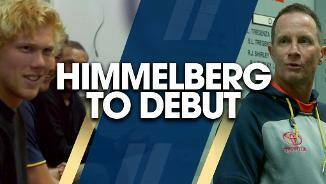 Don Pyke tells the players that Elliott Himmelberg will make his AFL debut. 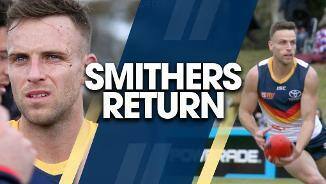 Pykey lets the playing group know that Brodie Smith will return to the AFL side this weekend. 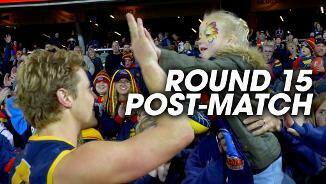 Go along with Brodie Smith on his comeback game at Elizabeth. 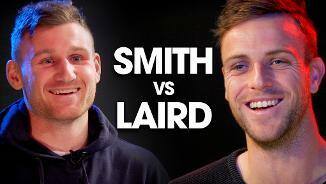 Rory Laird digs up all the dirt on returning defender and mate Brodie Smith. 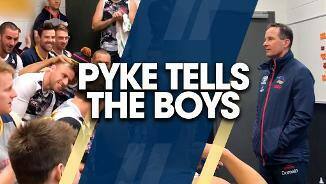 Don Pyke tells the boys that vice-captain Rory Sloane will be a Crow for life. 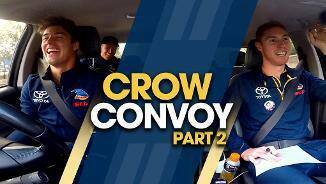 Go behind the scenes with the team following our round 15 win against West Coast. 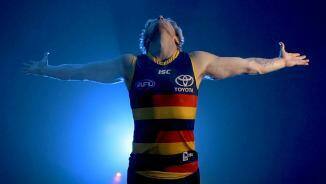 Riley Knight, Tom Lynch & Kyle Cheney share a lift and a laugh.